Fall is here and football is finally back! It’s a long spring and summer without any football on TV. My husband and I enjoy sitting back and watching the football games all weekend long. Some days we just watch them by ourselves and other days we invite friends over to watch with us. 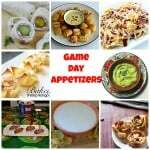 Since no one wants to be in the kitchen all day missing the game, I’ve had to come up with several recipes that can be prepared in advance and made in just a few minutes before the game starts. 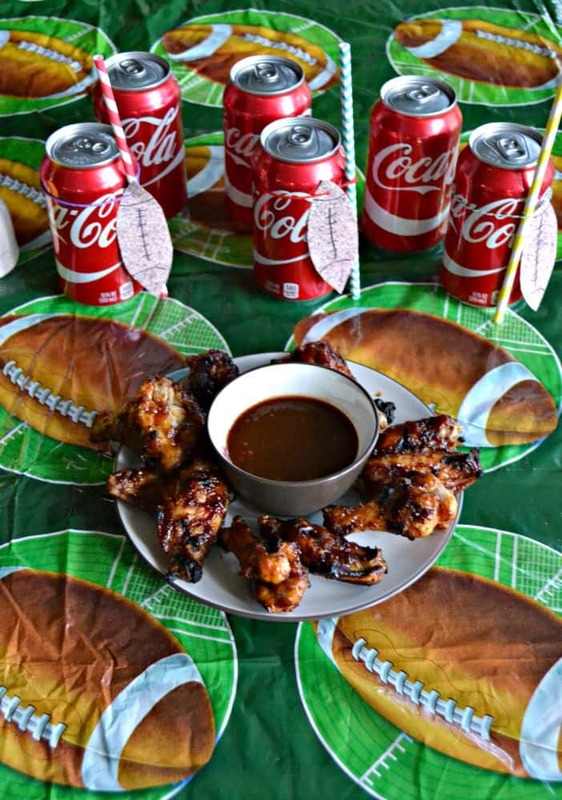 One of my favorite recipes is Grilled Wings with Coca-Cola BBQ Sauce. 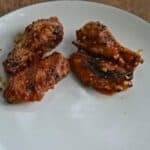 The BBQ Sauce can be made up to 3 days ahead of time and the wings are so easy to throw on the grill right before your guests arrive. I always head to Sam’s Club when I’m shopping for a crowd. It’s nice to pick up big backs of food and beverages and not have to worry about running out of food or drinks at half time. 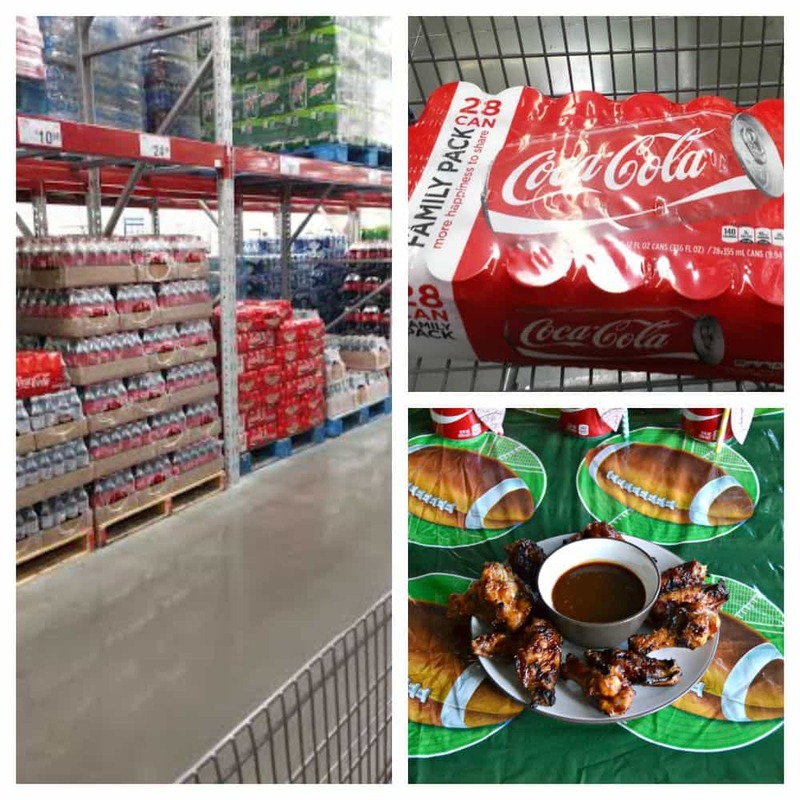 Sam’s Club is now selling 28 packs of Coke and Diet Coke which is perfect for making my Coca-Cola BBQ sauce and for our guests to enjoy during the game. Plus, if you are short on time you can take advantage of Sam’s Club easy Order Online and Pick Up in the store. Simple choose the items you need, buy them online, and they’ll be ready for you to pick up in the store! This saves me so much time as I often get caught up on in looking at all the great items in Sam’s Club and there’s no time for that on game day. To make the grilled wings I like to brine my chicken wings ahead of time. This helps to keep the juices in the wings which is important when cooking them on the grill. Then I make the Coca-Cola BBQ sauce either the morning of game day or the night before. It’s a sweet, smokey, and slightly spicy sauce made up of Coke, ketchup, steak sauce, and a ton of spices. It is delicious on grilled wings. I like to make a little extra so I can baste the wings with the sauce and have extra for our guests to dip the wings in. 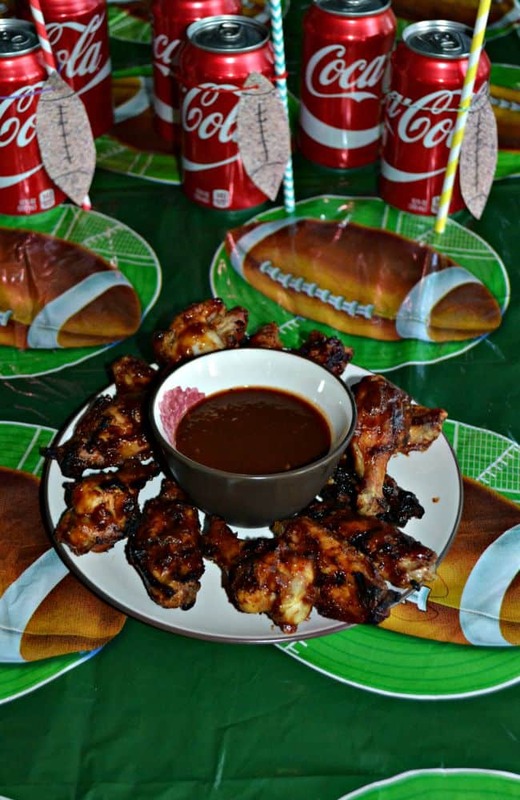 Delicious grilled chicken wings coated in a sweet, smokey, and slightly spicy Coca-Cola BBQ Sauce. To prepare the wings, place the water, salt, and sugar in a gallon sized bag. Add the salt and sugar and mix well. Add the chicken wings, seal the bag, and refrigerate for 2-6 hours. To make the BBQ sauce, combine all the ingredients in a medium saucepan over medium heat. Bring the sauce to a boil, stirring frequently. Lower the heat and simmer the sauce for 20 minutes or until it has thickened. It should reduce by about half. To make the wings, heat a gas or charcoal grill. Drain the chicken wings and rinse under cold water. 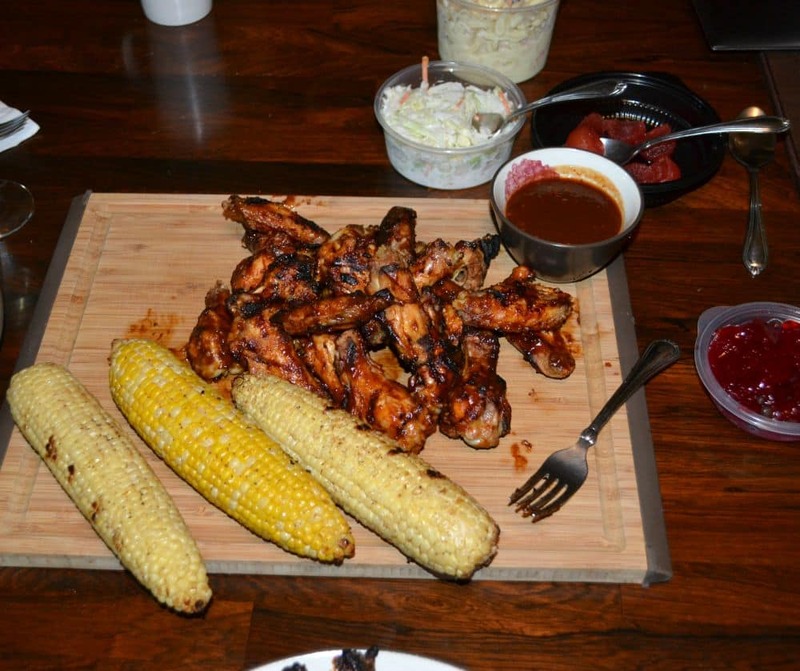 Pour half of thee BBQ sauce into a bowl and take it out to the grill with the wings. Place the wings on the grill and cook for 5-7 minutes per side, basting with the Coca-Cola BBQ sauce as needed, until the wings are cooked through. Remove the wings from the grill and serve with remaining BBQ Sauce. 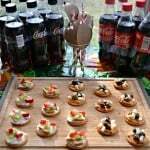 In addition to good food, it’s a good idea to have beverages ready to go when your guests arrive. During football season I like to do this by making cute (and easy!) football tags to go on the cans of Coke and Diet Coke. I simple cut them out, draw on the laces, then tie them to the cans along with a straw for each guest. When I put them out on the table I like to leave a pen or marker beside them so guests can write their names on the football tag and know that the beverage is theirs. I also like to use scrapbook paper to make the footballs because while there is a design on one side, the other side is blank. This is something that can easily be done days in advance of your tailgating party. 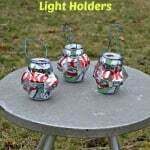 A simple way to decorate beverage cans for a tailgating party! Using a pen, draw two or three footballs on the piece of cardstock. Using scissors, cut out the footballs without cutting into the paper. This will make a football stencil which will make it easier to cut out the football tags. 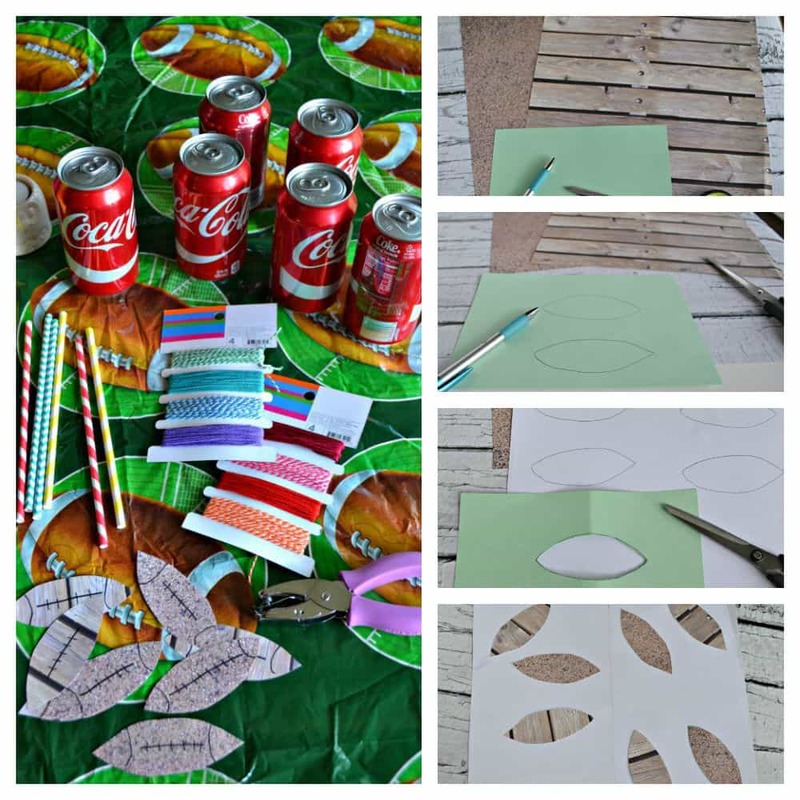 Place the stencil on the blank side of the brown paper and trace 10 footballs on each piece of paper. Cut the footballs out of the paper. Flip them over to the brown side and draw the football "laces" on the paper. Punch a hole in the corner of each football and thread a 14 inch piece of craft string through the hole. Twist the string twice around a straw and then tie to a Coke or Diet Coke Can. Repeat for remaining cans and footballs. 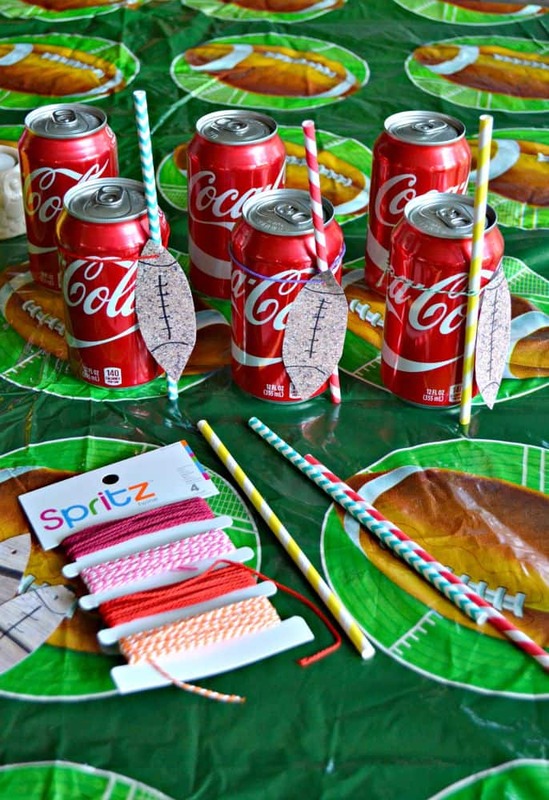 Place the cans near a pen and allow the guests to put their name on the tag as they pick up a beverage for the game. 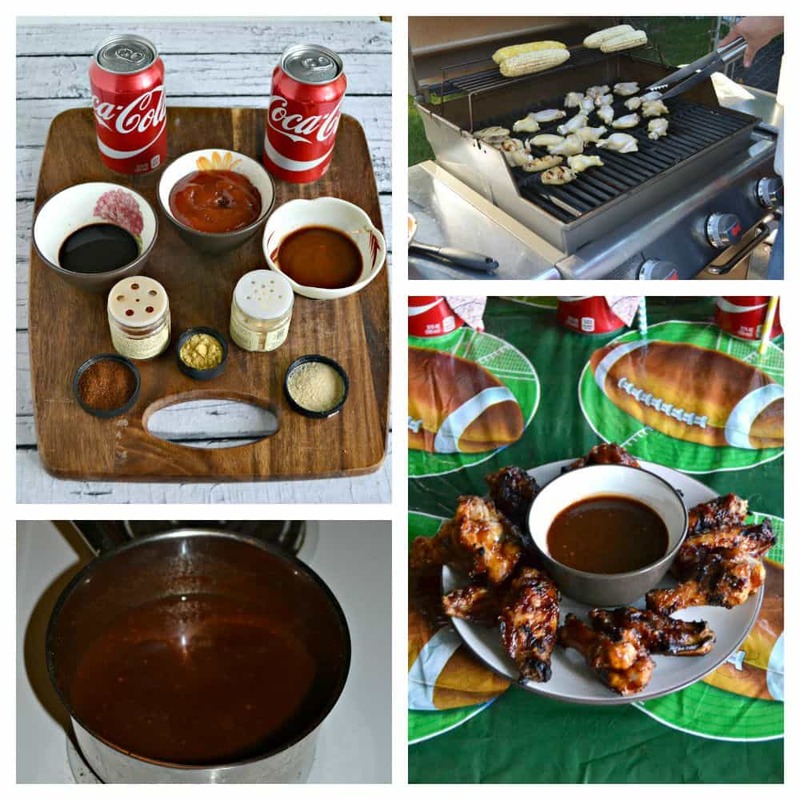 I’ve shared one of my favorite Coca-Cola tailgating recipes. I’d love to hear about your favorite Coke recipe! That’s so cute! I love your football tags. My husband would love those wings too. I love going to Sam’s Club when I need to feed a crowd or just want to fill my freezer.